European quality grapples and grabs for every purpose, backed by the best in Australian service. Interested in affordable ways to work faster and smarter? An Intermercato grapple or grab could be the answer for you! 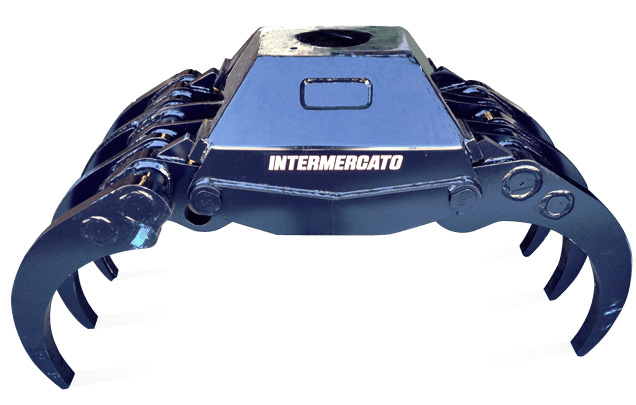 At Intermercato Grapples, we have a range of over 100 grapples and grabs to choose from, with Intermercato rotators and Indexator rotators to match. Operators in Australia have traditionally relied on manual and one arm static hydraulic five finger grabs. 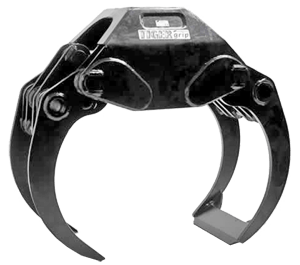 However, in Europe it has long been acknowledged that a purpose-built hydraulic grapple or grab can deliver much better efficiency and productivity in the field. Now, more and more Australians are making the switch to the productivity power of Intermercato hydraulic grapples and grabs - in fact, the response from our customers has been amazing! Intermercato grapples and grabs are designed for cranes and excavators from 500kg to 40 tonnes and are suitable for cardanic suspension and rigid mount applications. The excavator series are made from HARDOX for extra durability, with greasable pins and bushes throughout. Intermercato is a Swedish company with more than 20 years of experience, and all products are backed by the expert support of our Australian team. Contact us to find out how the right grapple or grab can maximise your efficiency on the job. We'll give you individual advice on the product that's right for you. Bobcat, Kubota, JCB, Hitachi, Cat, Takeuchi, Kobalco, Volvo, Wacker Neuson, Yanmar, Doosan, Daewoo.